If you end up buying a Moto 360 (unboxing and tour) today, and also plan on wearing it daily, you may want to consider setting it up as a Trusted Device with your phone. With a Trusted Device, your phone can have a PIN or password attached to its lock screen, but rarely ask you to provide it since it knows you have a “trusted device” near. 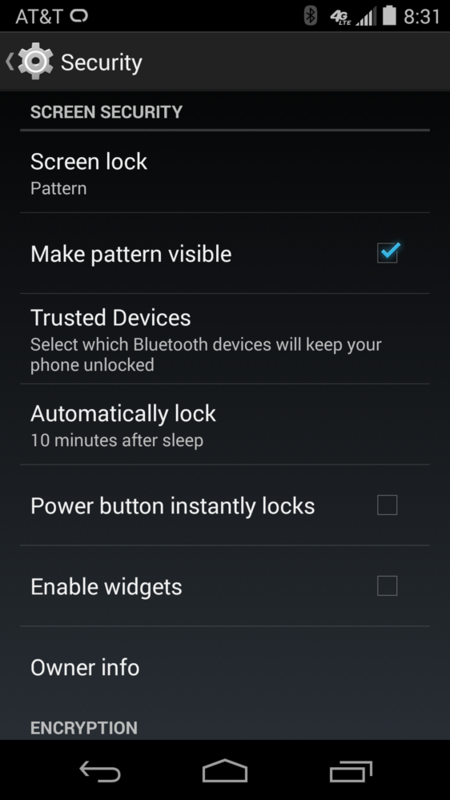 Basically, with a Trusted Device (could be your car or another smartwatch), you are telling your phone that if this specific device is connected to Bluetooth and near, I shouldn’t need to enter my PIN or password every time I access my phone. But, should I leave my phone behind at say a bar or the gym, it would be nice to have it protected should someone pick it up and try to access its contents. Make sense? *Note – Motorola has built-in Trusted Devices as a Bluetooth feature, so devices like the original Moto X or last year’s DROIDs can take advantage. Other device manufacturers likely haven’t jumped on board, so depending on your phone, this may not be an option. You will know by step 3 if you can set this up. 1. 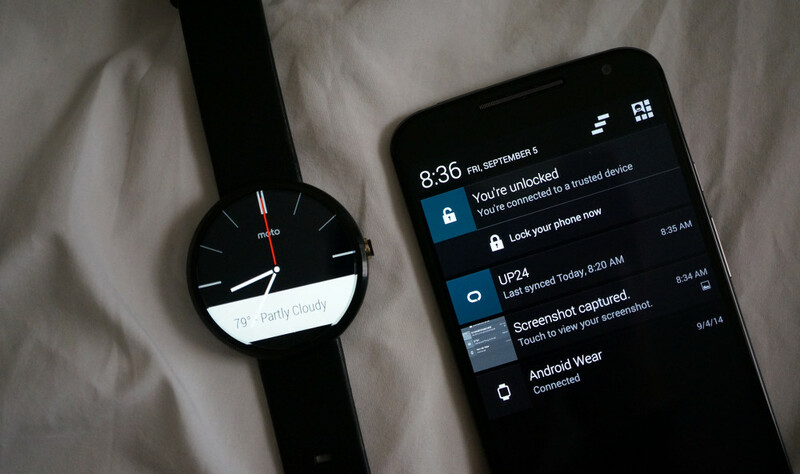 Make sure that your Moto 360 is paired with your phone. 4. Enter your PIN or pattern. 5. 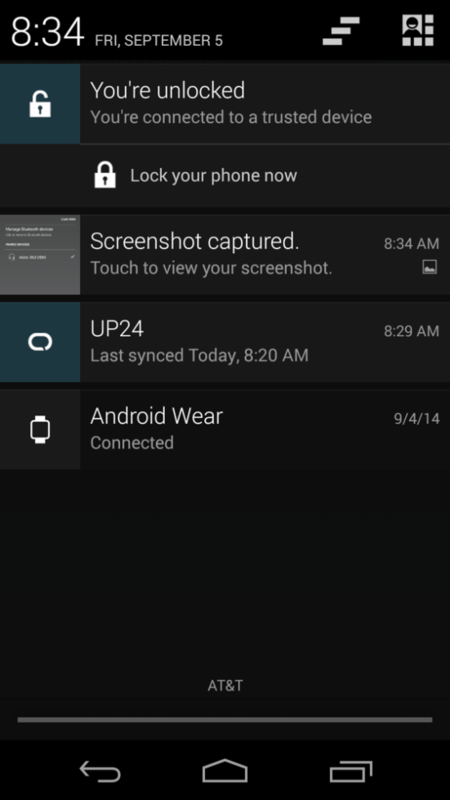 Turn on Trusted Devices with the top right slider. 6. 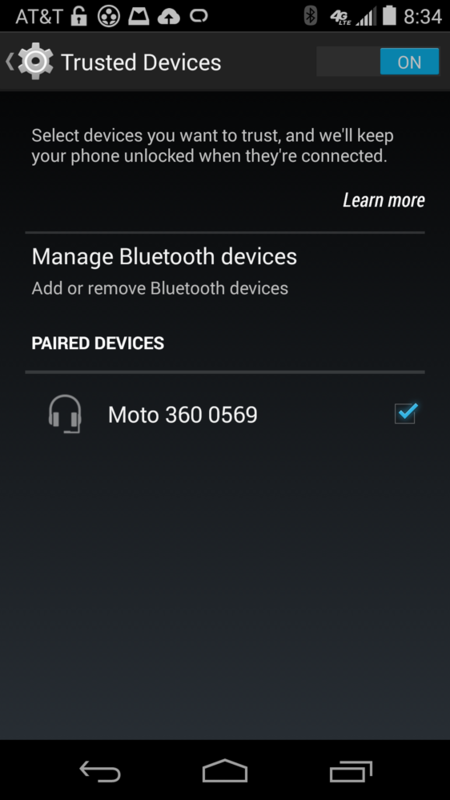 You should now see your Moto 360 listed as a paired device. 7. Check the box next to it to make it a trusted device. 8. Your phone will now remain unlocked as long as your Moto 360 is near and paired.